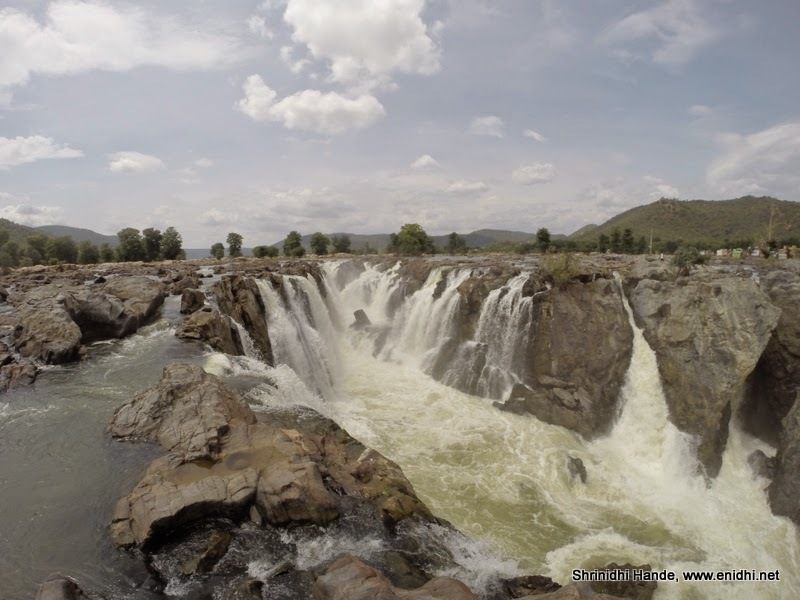 Last Saturday I had my third visit to Hogenakkal. Last two visits were in Feb 2009 and Nov 2010. Close to 4 years and Hogenakkal has changed a lot compared to my 2010 visit. 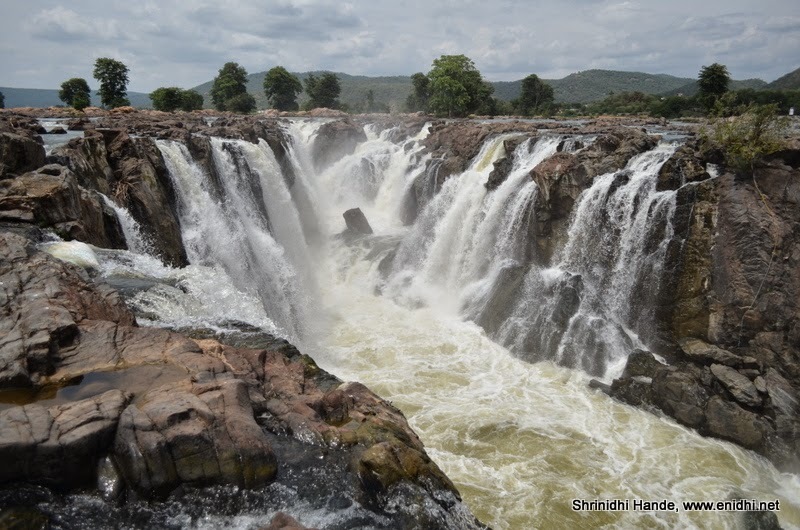 This time though, we entered the falls from Karnataka side, not via usual Krishnagiri- Dharmapuri route(more about that later) This post shares some latest photos and updates about the falls. 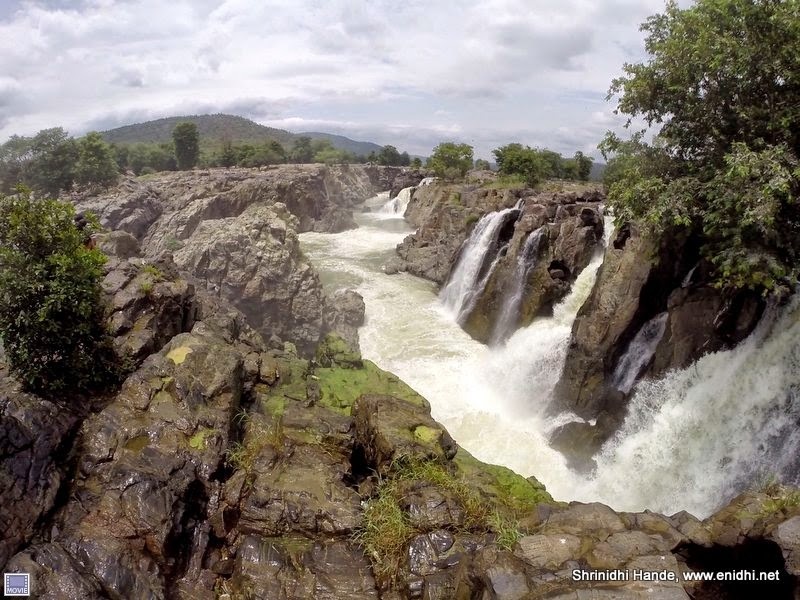 August- September is probably one of the best times to visit Hogenakkal. "You should have come one month earlier-there was much more water" - our boatman told us. The major difference was the walkway. 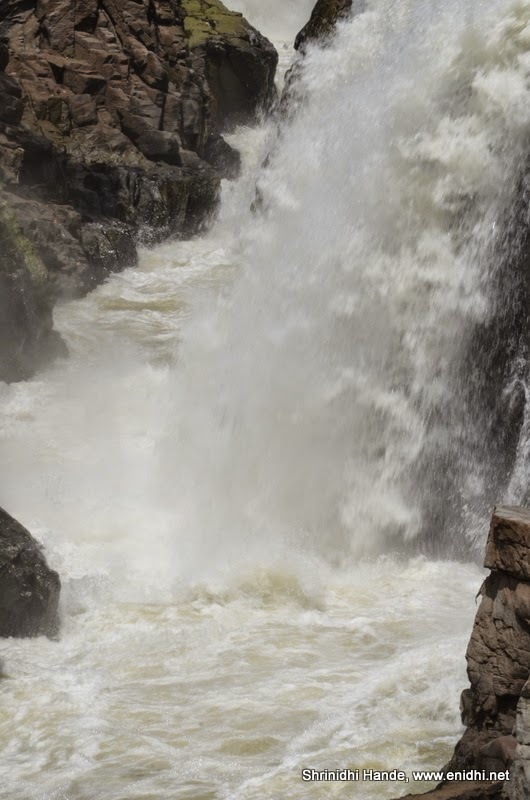 Earlier, one had to commission a boat-ride in order to get good views of the falls, as the best view is visible from top of the rocks in the middle of water. Coracle rides would cost Rs 200+ per person. 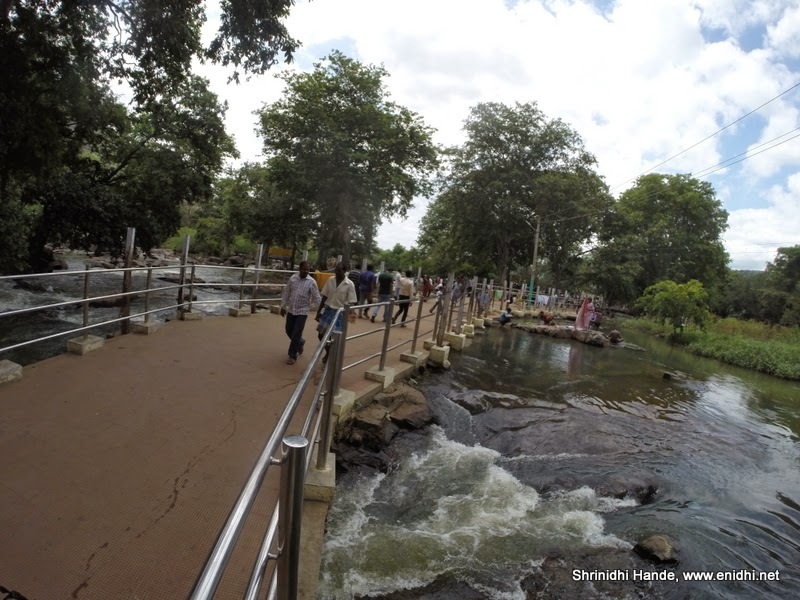 Now there is are walkways constructed- one in Tamil Nadu side, another at Karnataka side. Using these one can walk across the river and get good view of the falls. There is no need for the boat-ride. 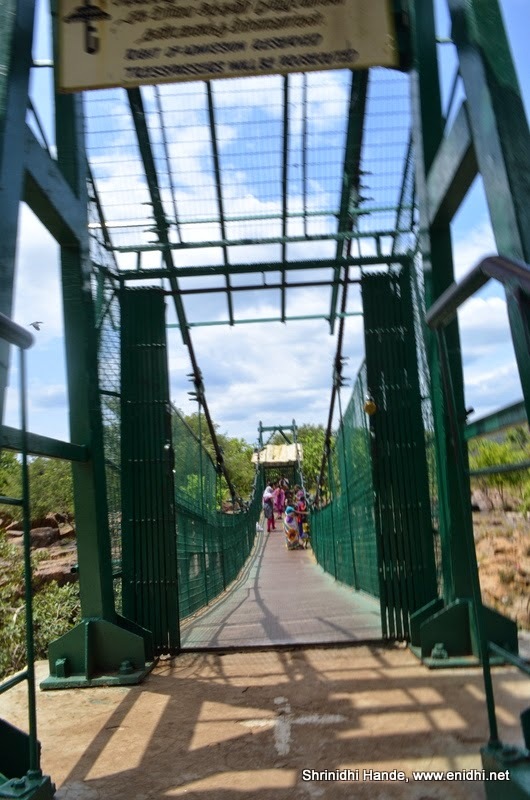 A hanging bridge is constructed on the river as well. Safe provisions have been made where people can take bath in the river, with barricades to ensure that they don't slip into river. 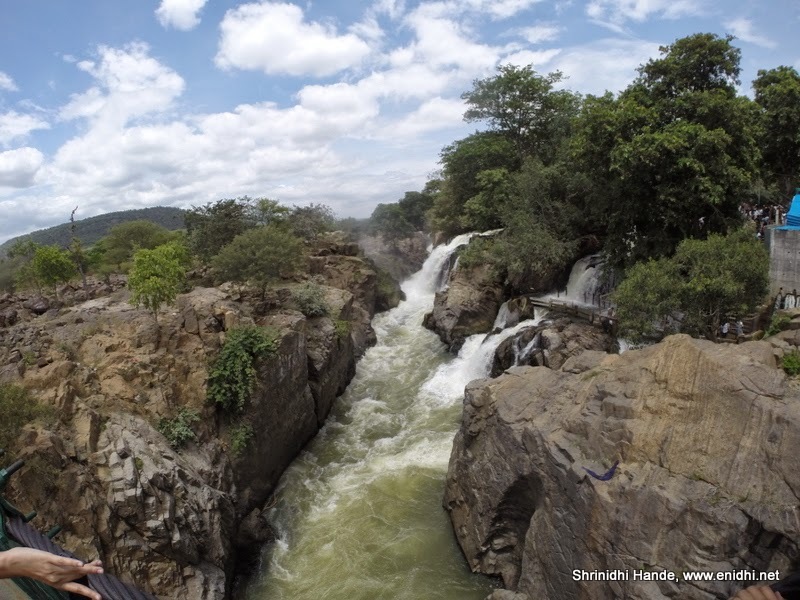 Now there're 3 key points from where we can view the falls- from the hanging bridge, from the watch tower and from the view point operated by Karnataka tourism. Fourth one is during the coracle ride, where you may be taken as close to the falls as deemed safe by the operator. Boat prices were about Rs 960 for 1.5 hours ride, for 6 people (Same price for lesser head count). I find the place much more cleaner than what it was 4 years ago. Parking and entry fee were same as last time. Wow.. Brilliant place to click waterfalls... Well captured. Headed there in a few days time. Are the coracles rides, having fresh fish catches and oil massages still there? Nice captures! Great trip. I would love to go there soon. Rajesh: Do visit before water levels recede.